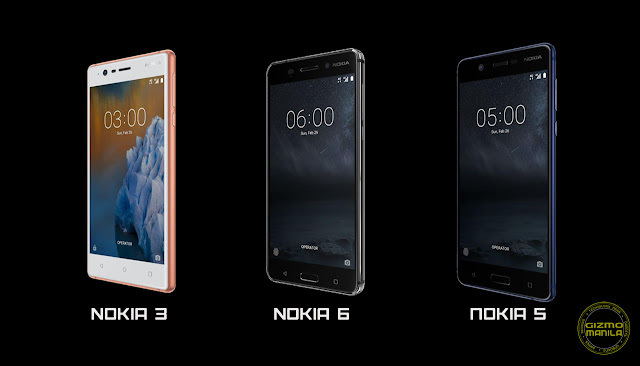 Home / affordable gadget / nokia / nokia 6 / tech / Nokia unveils their new smartphones devices. Nokia unveils their new smartphones devices. The new Nokia smartphone is build in a premium aluminum metal uni-body makes the phone tougher, since the Nokia is known with its durability. The new smartphone will be releasing on the latest Android 7.0 Nougat OS and will have an regularly update. They also introduced the newer version of Nokia 3310. This new version of 3310 has a Dual-SIM and Memory card slot. Its also has a 2MP camera and colored LCD display. Nokia smartphones will be available at Nokia 3 for only P6,990 while the Nokia 5 is at P9,990 the Nokia 6 at P11,990, Nokia phones will be available starting June 30 nationwide.